New Delhi, Feb 28: Samsung India on Thursday launched the latest Galaxy M series smartphone “M30” in two storage variants, starting at Rs 14,990. The device will be available on Amazon and Samsung.com from March 7. M30’s 6GB+128GB variant is priced at Rs 17,990 and the 4GB+64GB variant will be available for Rs 14,990, the company said in a statement. Samsung Galaxy A50, Galaxy A30 & Galaxy A10 Smartphones Launched; Price in India Starts From Rs 8490. “Galaxy M30 is for the most discerning millennials. The alpha young consumers, who are looking for peak power in every aspect from their smartphones, need not look beyond the Galaxy M30,” said Asim Warsi, Senior Vice-President, Samsung India. 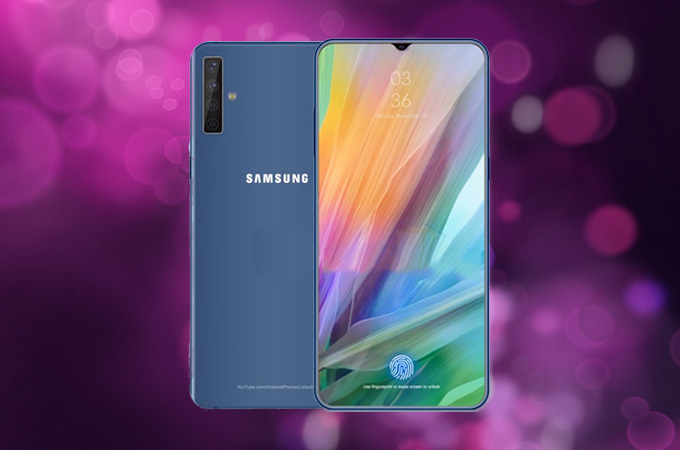 Samsung Galaxy M30 Smartphone With Triple Camera & 5000 mAh Battery Launched; Price in India Starts From Rs 14,999. The 6.4-inch FHD+ device sports 16MP front camera and triple rear cameras — 13MP+5MP+5MP. It houses 5,000mAh battery. The device is equipped with a dedicated storage slot expandable up to 512GB and will have dual SIM VoLTE support. Samsung launched the Galaxy M10 and M20 smartphones last month.